Recipes allow us to make connections – to the author, to the past, with ourselves and with each other. Through these little stories told through food, history is recorded, and memories are made. There is an art to food-writing, just as with any other narrative. 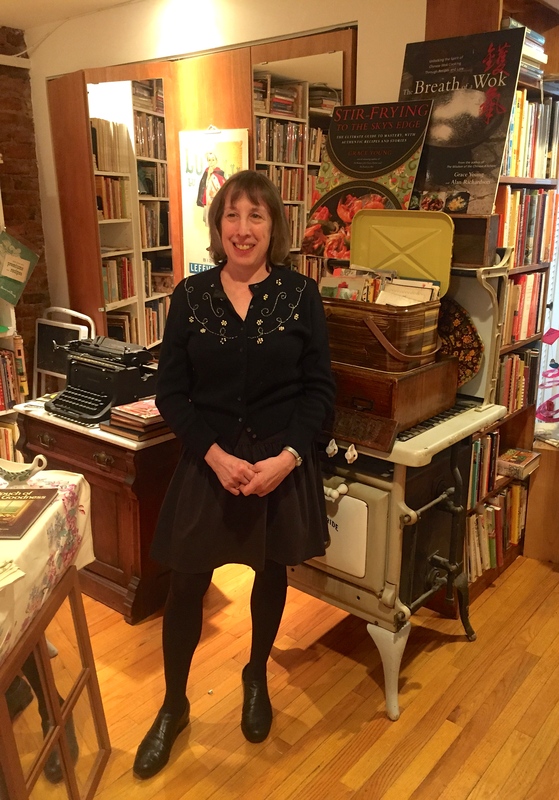 And in New York City, the one place you could count on to find some of the best examples of this was Bonnie Slotnick’s tiny shop in the West Village crammed full of out-of-print and hard to find books on cooking in all its forms. Where else could you find this? But, as with so many places beholden to landlords and rising rents, she was forced to leave that location. Now she has re-opened on a ground floor on Second Street in the East Village. Bonnie taking a moment to pose. There’s a lovely backyard I hope will allow her to host readings and other gatherings to highlight some of the many treasures she has to share. Last night I was lucky enough to celebrate this opening and get a first glimpse of the new and much larger space. 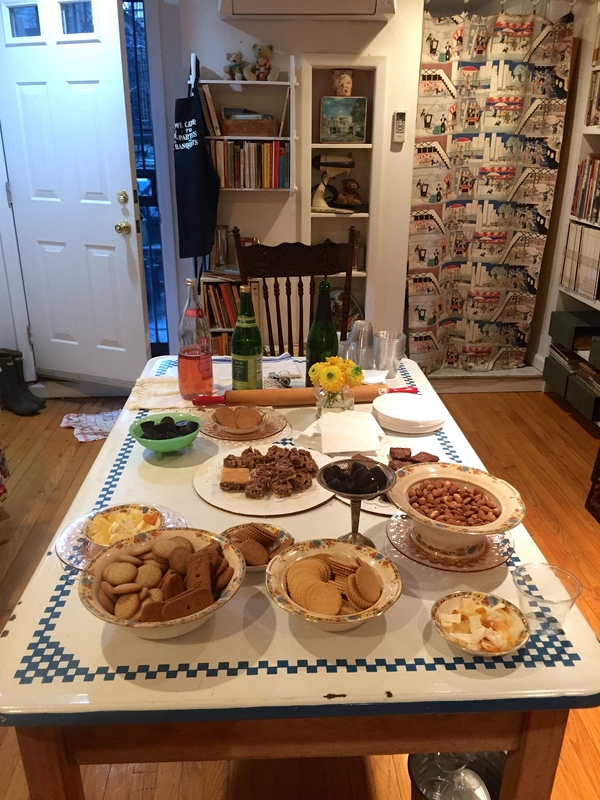 Bubbly and nibbles to celebrate. Bonnie was thrilled to be back in her glory and imparting her extensive knowledge to each customer, urging them to ask her questions and let her help them find something to take home. 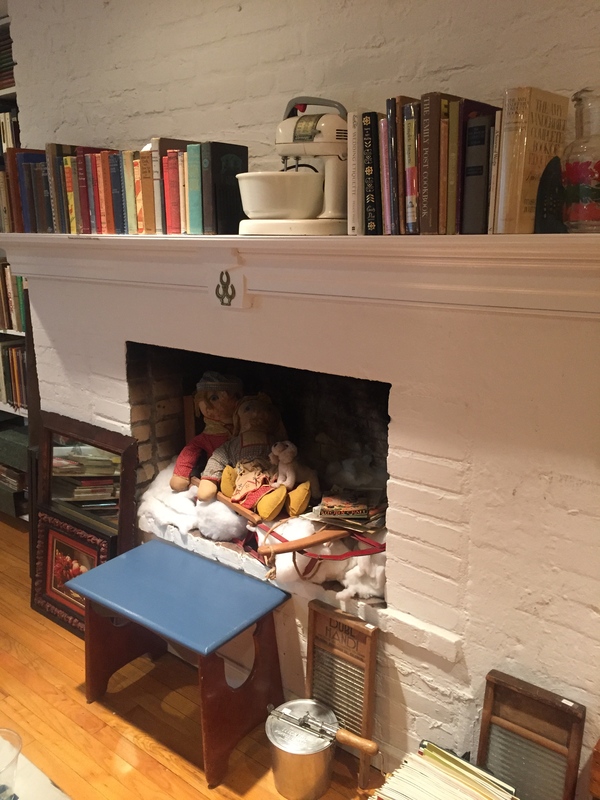 Some of the older books are on the mantle. 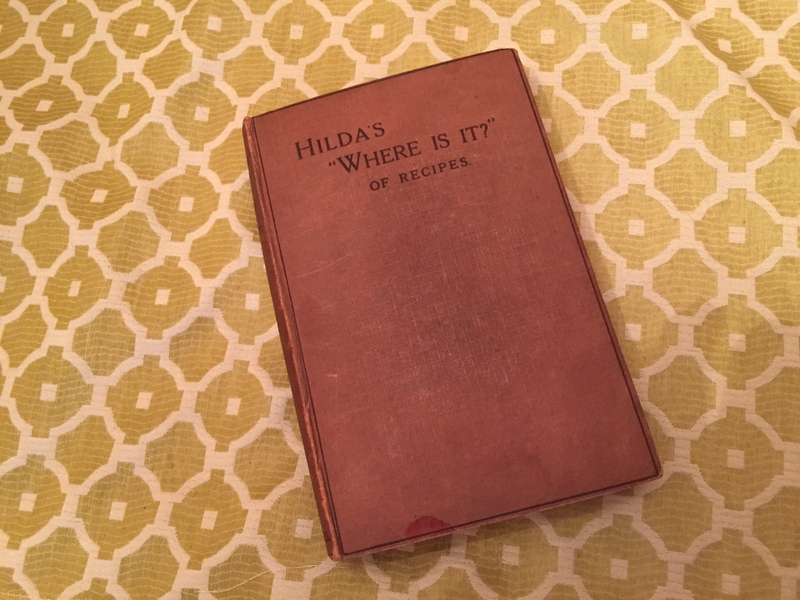 I was looking for a book similar to Hilda’s “Where Is It?” of Recipes, an 1891 wealth of knowledge on everything and anything, which she helped my boyfriend buy as a gift for me last year. There are no pictures in the book. It has an impossibly difficult index to follow, and you will not find any detailed instructions. But you will learn how people used ingredients to cure ailments, as cleaning supplies and for warmth on a cold day. It is a book to read for inspiration and insight. Like this turn of the century gem, you may notice that many of the cookbooks that come out today have more pages devoted to the chef’s background and explaining technique than they do to the actual recipes. But the older ones really allow the author’s voice to come through, at a time when you couldn’t get information from a Google search. As I sipped my Cava and browsed through sections on Indian cooking, meat carving, vegetables and seasonings, I discovered Irma Goodrich Mazza. 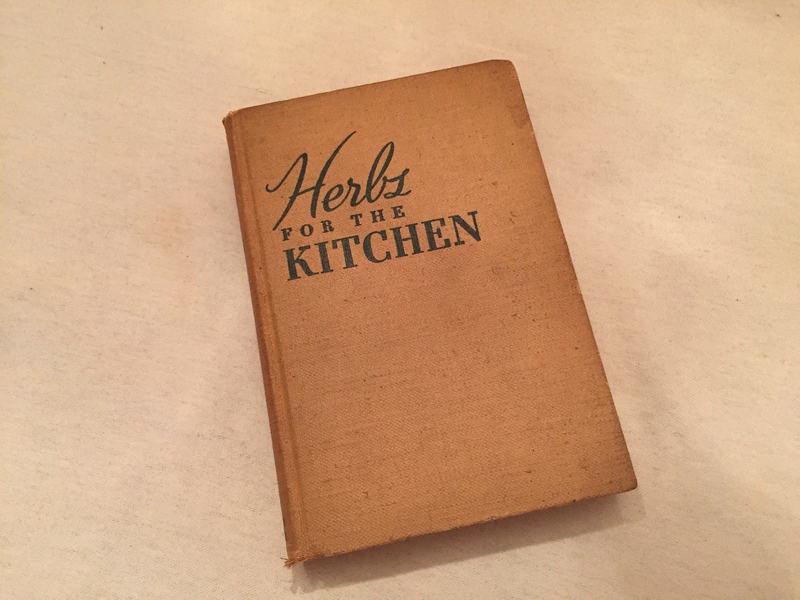 She wanted to write a book to explain how to use more than salt and pepper – tips she learned in cooking for her “Latin” husband, as she wrote in the introduction to Herbs for the Kitchen published in 1939. Every recipe has a tip or trick, and a good amount of wit. On “Bottled Dressings” she writes, not to buy them “if you value excellence of taste. Most of them are like canned music — loud, sharp, and disturbing.” If I could invite anyone to dinner, Irma would make my list. 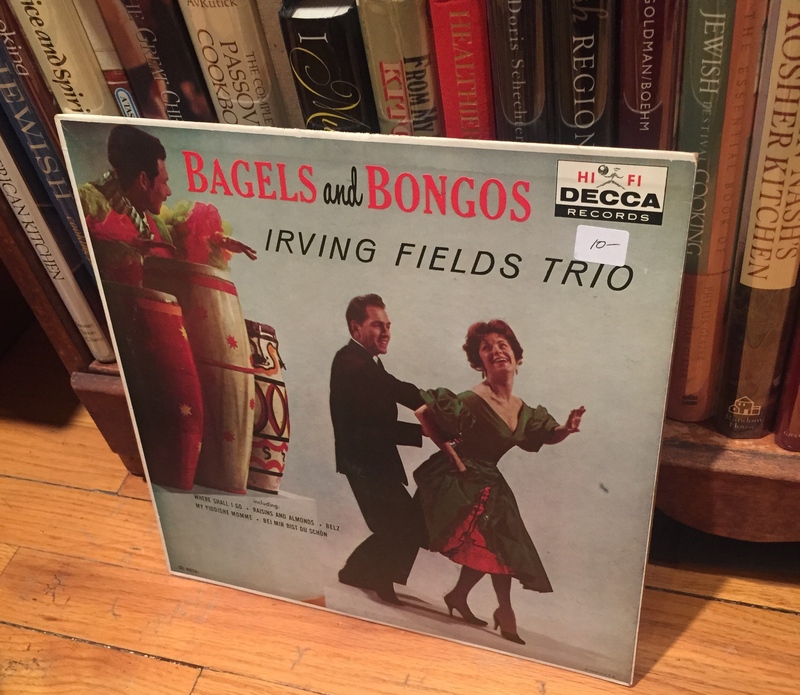 If you’re looking for a record that relates to food or an apron, you can find it at Bonnie’s. And this is, of course, where you go to find the classics – such as a series of publications from Women’s Day like the ones my mother had – books that Barnes & Noble certainly doesn’t carry. 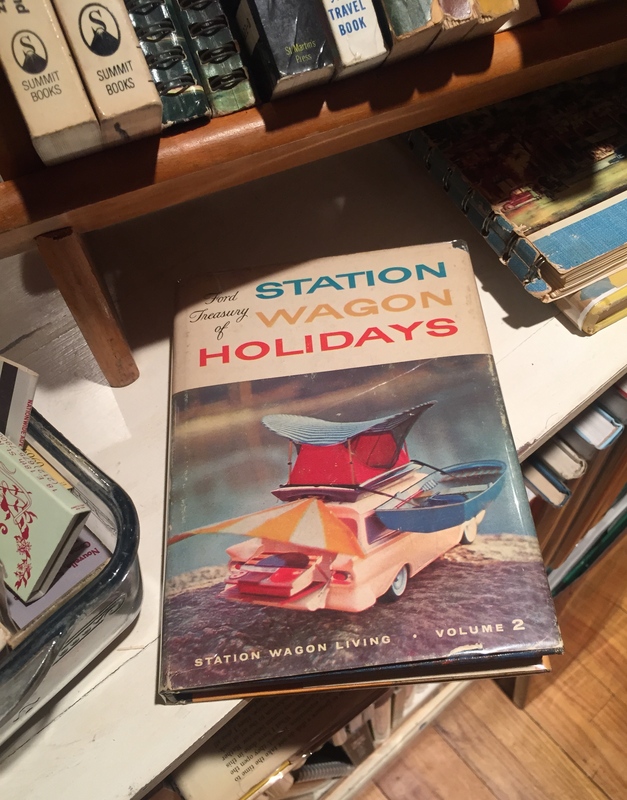 Flipping through these pages, as I do with my mother’s cookbooks, with their stains and torn edges, I can see which recipes are favored and those never tried. Notes are written to show something didn’t work out quite right or that a dish would be nice for a fancy dinner party. For a woman who never kept a journal, Good Housekeeping was her memoir. No place else treats these books with such care and affection. And that’s why Bonnie’s shop is so special.